Twice while trying to delete a thought (on separate occasions), I received an error message that said it was being used by another person or program. The second time it happened, I closed my brain. Now I receive an error message on startup. Attached is copy of error messages and log. Thanks for your help. I was able to solve the problem by using the information from Harlan on post http://forums.thebrain.com/tool/post/thebrain/vpost?id=2807201 (I thought it sounded familiar). 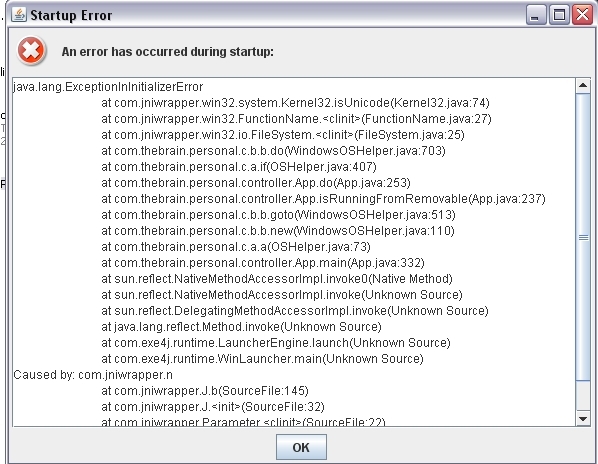 The problem seems to start in the \PersonalBrain\lib\comfyj-2.4.jar file. When I try to reload the software, this is the file that "is still running". I have to reboot, then delete according the the above link. Then everything works ok.
Reinstalling PersonalBrain fixed the issue but now my brains trash/ -folder contains a copy of the whole PersonalBrain installation. So my question is can I safely delete my trash/ -folder?